This is a photo of the painting behind glass so the quality isn't as clear as the painting. 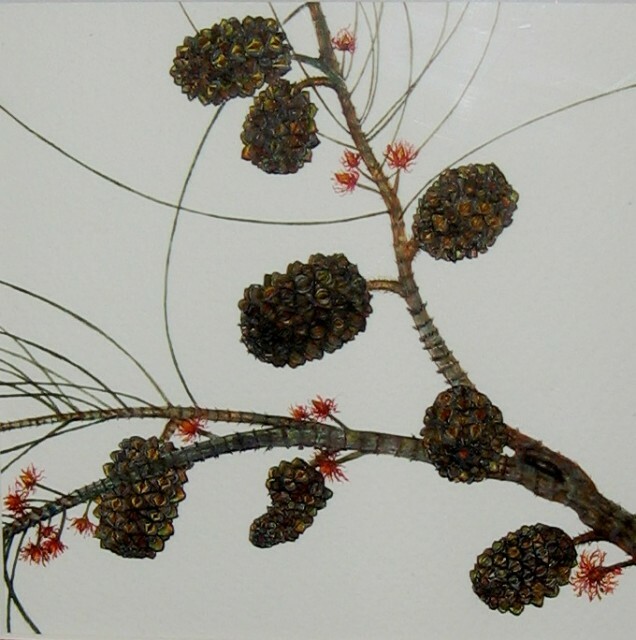 This was my second botanical painting, which I painted during Year 12 for my HSC Major Work. I painted the stalk first which I feel is the weaker aspect as my technique changed and improved with the pods. I really enjoyed painting the pods because of their mathematics but also unique variations to each other.